Shopping when over seas can be quite a challenge. When we lived in Chervonoarmeysk (also known as Pulin) in Ukraine we lived in a big village. After all it was five thousand people. Now granted that included those who lived around the village also. However, it was the largest village for miles and miles. 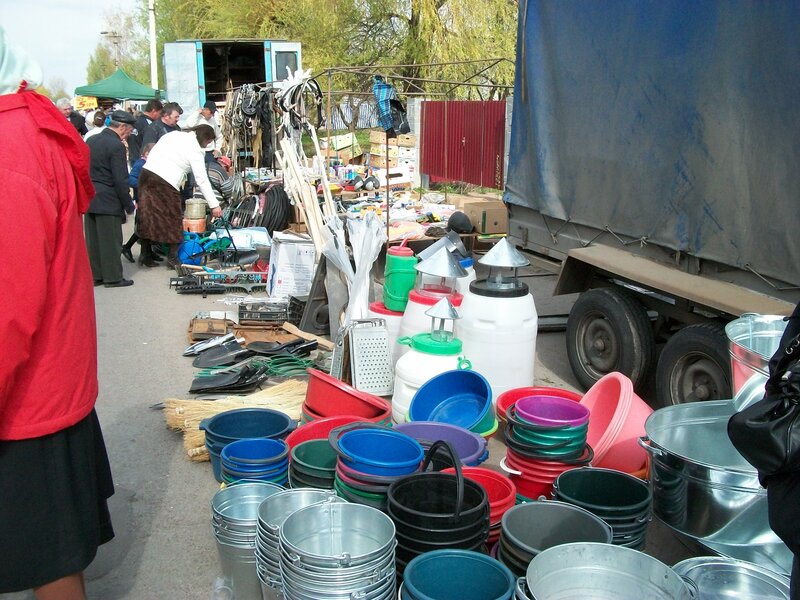 The large city of Zhytomer was over an hour away by car and most people didn’t have cars. Every Thursday we had bazaar come to town. 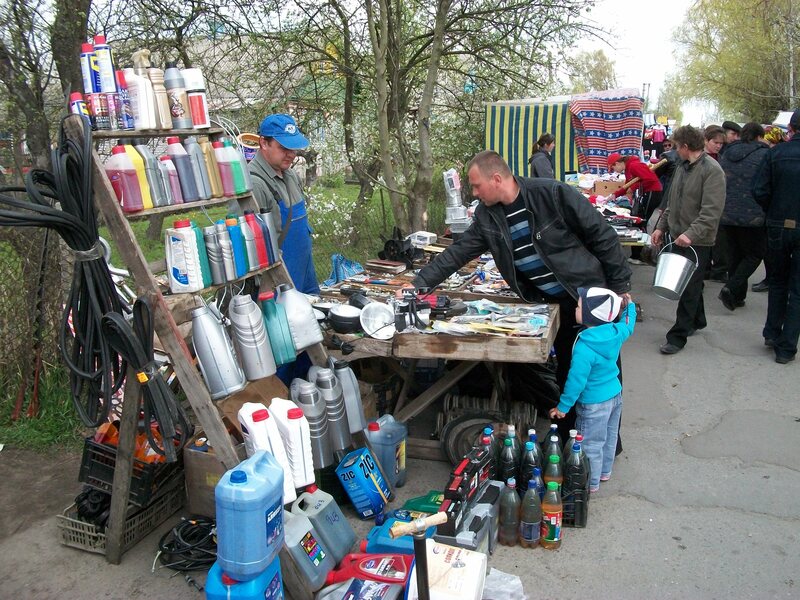 These were vendors who set up shop and sold just about anything you could possibly want. After all this was the only shopping many of the people had. We were very fortunate that bazaar was on the main street right in front of widow’s house. So every Thursday people from all the little villages would get on the bus and come shopping. The place was usually packed before eight in the morning. Did you need clothes? Come to bazaar. 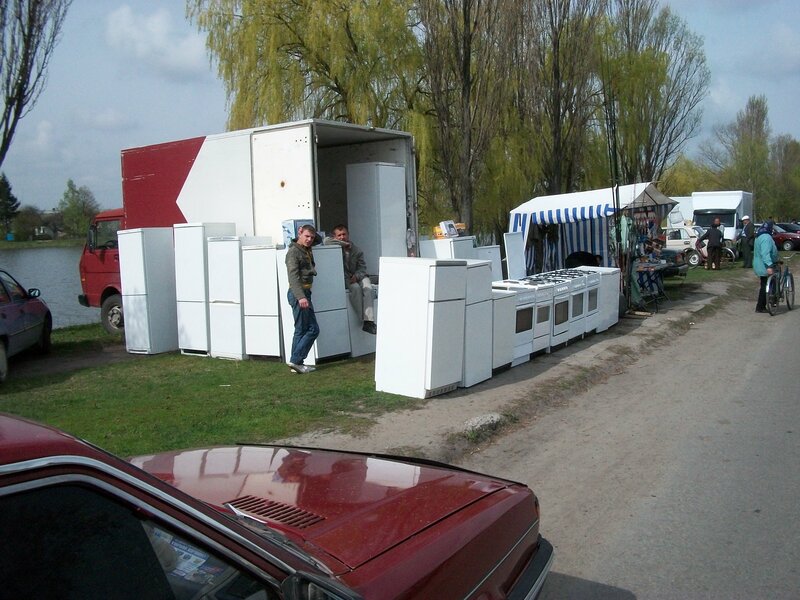 Did you need appliances? Come to bazaar. There really wasn’t much you couldn’t buy on Thursday. I don’t care what the weather was like the vendors came and set up for bazaar. People came to shop if it was pouring down rain, if it was freezing and snowing, if it was really hot and even when the sun was shining brightly and the weather was great. You could buy fresh food, meat, and fish. You could buy candy, fruit and fresh bread. You could buy car parts, tools, and house hold items. In fact you could buy anything you can buy in a mall here in the states and then some. In the spring you could buy seeds or plants and it was always fun to see the vendors who brought little chicks, ducks or rabbits so people could raise them. Every Thursday was like a holiday. People from different villages would see friends they hardly ever saw. Bob and I went to bazaar every week. Sometimes we would buy something but not always. We got to know some of the vendors and they were excited to see us and greeted us like long lost relatives. You can even buy furniture. You can pick out the fabric you want. Bazaar was always exciting and heartwarming. I miss a part of that. I would love to go back just to go to bazaar but that is a lot of money and a long way to fly just to go there. Learning about new cultures has always been exciting to me. I am so glad I got to experience bazaar. Sounds like a fun weekly experience!